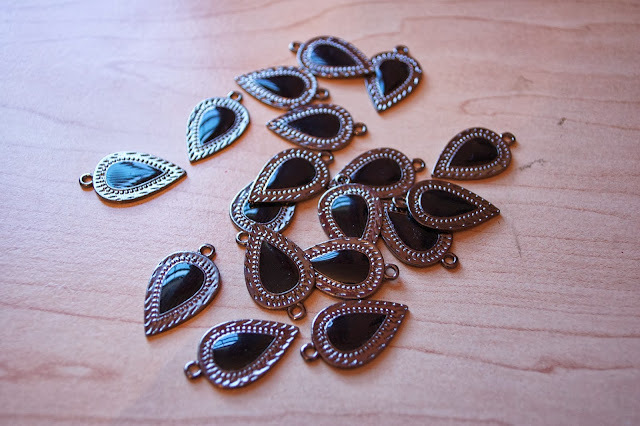 Last week I shared a pair of 10-minute earrings and explained how jewelry making tends to take me a long time to design a piece and then create it. So it's a nice change when I make a project that comes together quick!!! 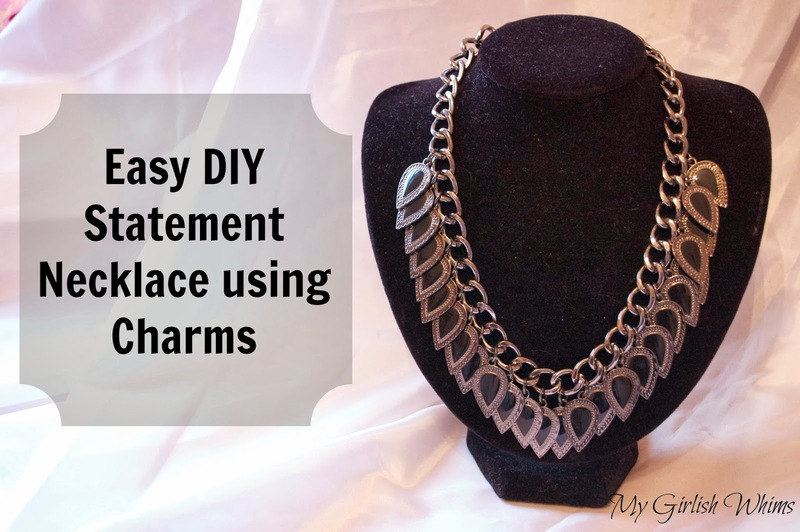 This is another project that is both quick AND easy to make. 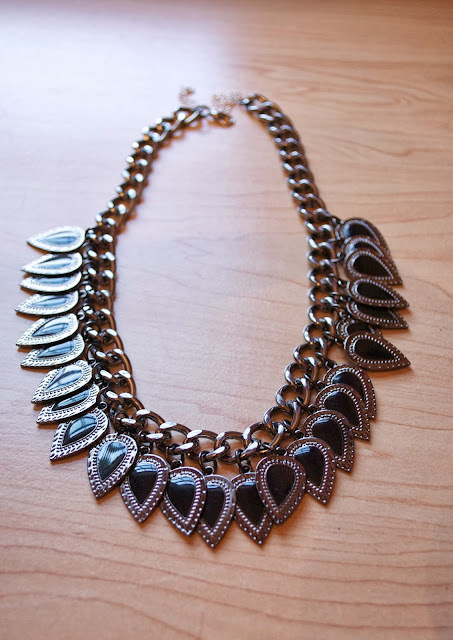 The chunky chain is from Prima Bead: 18in Chain Gunmetal Large Curb and the fun charms are also from Prima: 4pc Metal Charm Gunmetal/Black Teardrop. 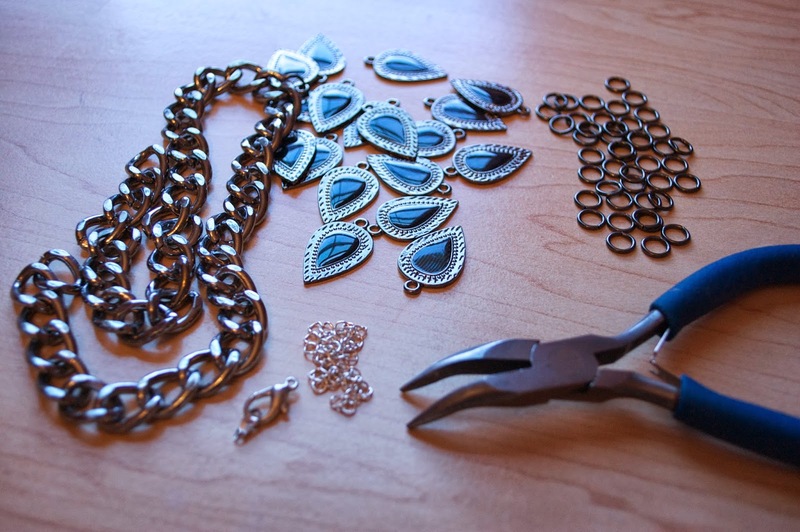 You'll also need jump rings, a clasp, and a small chain extension chain (optional), as well as a some needle nose pliers. There are not many steps to this necklace! Very basic. All you need to know is how to use a jump ring. 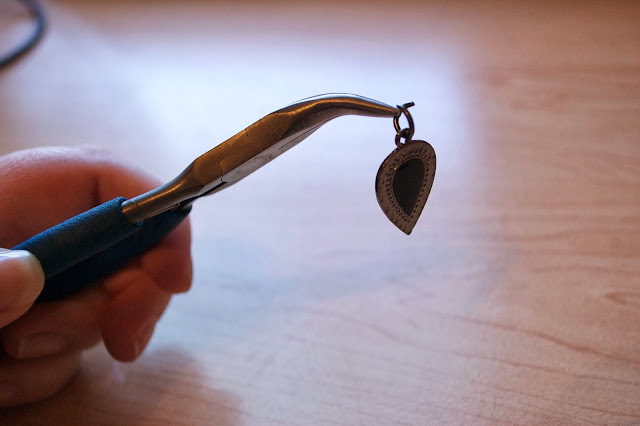 Use needle nose pliers to open a jump ring and attach a charm. Attach the jump ring to the chain and then close. 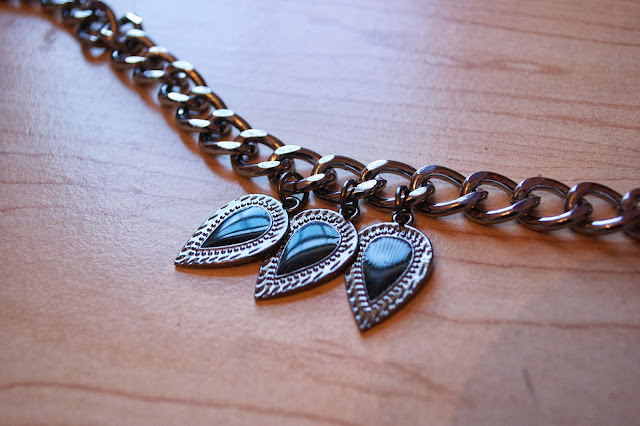 Continue adding charms along the chain. Attach a clasp and optional extension chain to the ends of the chain using a jump ring. All done! See, I told you it would be easy. 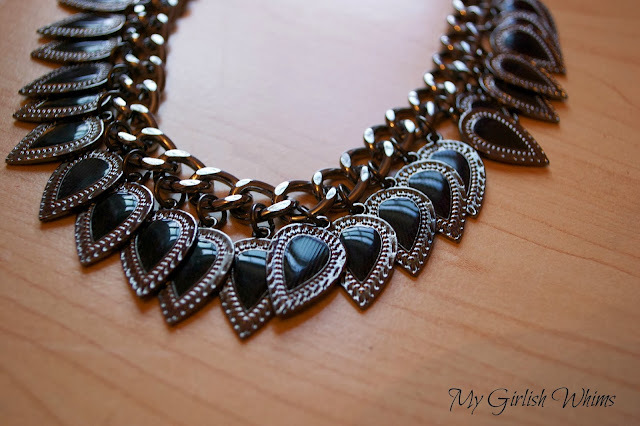 I like how this necklace can jazz up a plain black tshirt instantly! This is a nice new addition to my collection. I think I need to make myself a few more necklaces now!!! Love the simplicity and symmetry of this! Fabulous Necklace! It looks so good on you too. THANK YOU for this tut. 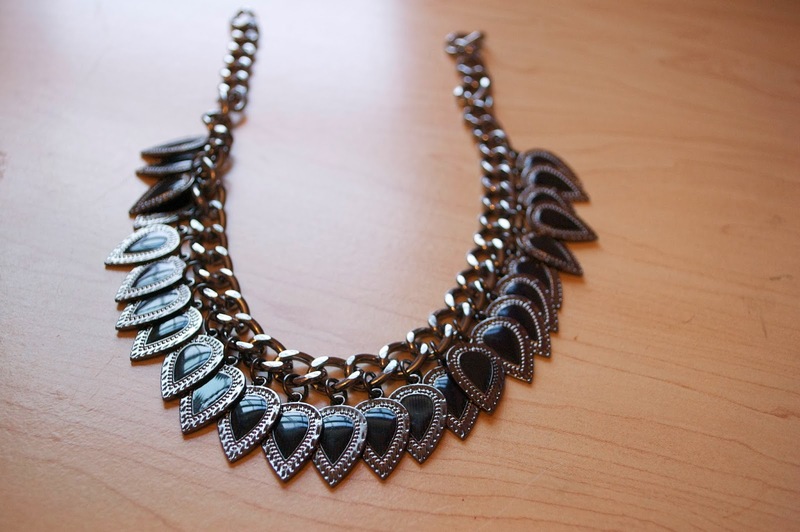 I have some chain & charms that I may be able to use to make myself a necklace similar to this one. Love it!! Love this! It looks completely doable and looks great!